Organise nature walks. Publish maps of healing forest trails and stories from amazing places . Bring out new films on the healing powers of nature. Create conscious communities. Provide natural healing tips. Tell stories of inspiring people. Discover fascinating forests that can serve as therapy forests. Do action projects that give back to nature. Click on these links to read our latest blog posts or our book on 101 NATURE FABLES. And here’s a glimpse of our documentary from India’s Healing Forests. Feel free to reach out to us with your thoughts in the comment box below. To know more about this initiative visit our about page. Very interesting opportunity to value the biophilia hypothesis!! I watched the film “India ‘s healing forests” yesterday, reminding firstly to myself the connection with the Nature and after to friends and family. I had very interesting shared discussions about the topic and the only feedback I have is the “feed-back” to the soul.. Thank you! Hello ! I cannot believe my good fortune in discoveringv your site ! I could not help but think , that at last , I have found “ my people “!! …I have always gone to the forests for comfort , for healing , for stillness . Every time I am In the forest I always feel like it is the world as it should be and every time I come out of it , I feel cleansed and reborn . My favorite time is walking just after the rain in the old growth redwood forests in Northern California with the sunlight filtering through the trees . Of course , the challenge is to be able to bring that magic and stillness back to our daily lives . … Perhaps someday you would be able to organize an actual meetup of forest lovers in whatever part of the world that would work out . It would be so great to meet with like minded people . Thank you for this inspiring film! All in my life I wanted to share the love for nature I feel. Now you showed me an example! Great! Plus 🦅 all kinds of Birds. etc…..
1-1/2 mile one way so I walked Home too. It Equaled to 3 miles. I was so Fatigue afterwards I took a 💤 Nap.💤 😴 I haven’t walk since that day but you can. I really liked the video and do agree with the messages yet I’m also aware that even when if one lives in beautiful surroundings for example New Zealand you still find people depressed and low. I’ve shared your video to my meditation group . Spinning white, angel-haired wonder through the pine. Beautiful, i could picture it in my mind. Soon i will be moving to a woodland, i long to rest in Gods creation. Thank you for the beautiful poem. So calming. The video materials touch my core and their soothing effect is just great. The forest and the trees have an almost magic power to heal. I’ve been for a long time disconnected and I felt lost and without any joy. I am back to nature now and I cannot say how good it feels to be with the trees again! Forest is very good for peace in mind. I often take my shoes off and walk in the forest. Is good way to prepare me to be grounded and peacefull for my healing. As a young child, I knew I could go hiking and felt safe within the trees. Many emotions of my life have gone through walking in forests. I would just sit on a tree stump, top of a peak, where the trees on a lite breeding day, I could hear the trees talking and comforting me. I had always told my family, listen the trees will talk to you. I really am a believer, trees and nature will give you what you need to heal. To stand before one of her art pieces is to feel the healing energy and aura of peace that one feels in the forest. I hope you enjoy. Vivo en un país maravilloso, COLOMBIA, tenemos 2 mares, tres cordilleras, 3 climas permanentes, llano, selva Amazónica, grandes rios, nevados, etc. Vivo en Bogotá ciudad capital de 10 millones de habitantes, el tráfico causa mucho estres, cuando puedo salgo a dar la vuelta a la sabana de Bogotá, paaso por varios pueblos pintorescos como: Suba, Cota, Tenjo, Tabio, Cajicá, Sopó, Briceño y Bogotá de nuevo, el solo hecho de ver el verde de los campos y árboles es mi mejor anti estres. I live in a wonderful country, COLOMBIA, we have 2 seas, three mountain ranges, 3 permanent climates, plain, Amazon jungle, great rivers, snowy, etc. I live in Bogota, capital city of 10 million inhabitants, traffic causes a lot of stress, when I can go out to go around the savannah of Bogotá, Paaso by several picturesque villages such as Suba, Cota, Tenjo, Tabio, Cajicá, Sopó, Briceño And Bogotá again, just seeing the green of the fields and trees is my best anti stress. when I’m in nature, my personal fears disappear and my existence has meaning. Often on the weekends when I’m feeling tired from work and a tad disillusioned with life, I get in my car and drive out to the trees. I’m fortunate to live on the Mornington Peninsula in Victoria Australia and we live fairly close to farmlands. There are avenues of gums, pines and many others and as soon as I see them, a wave of calmness & reassurance washes over me and I become excited about life again. They are my protectors and comforters. Recently when I was only working a few days a week, a friend and I would go walking each morning with the sole purpose of looking for something in nature that was awesome. Whether it was a gnarled old tree, a beautiful bird, a dried out leaf, an alpaca in her woolie pjamas or a interestingly coloured rock or a dragon shaped cloud in the sky. It was so easy to find something to show each other and to be amazed by. We called our walks ‘ Looking for Awe’ and I wish I had the time to take everyone out to the fields or farms and encourage everyone to just look and experience that simple pleasure one can get everywhere from nature around us. It somehow puts everything into perspective and helps me realise that life is good. I can relate to what you are saying, I often take my shoes off and walk slowly and mindfully, looking at the trees feeling the buzz of the bush on my bare feet, I always come away refreshed. It’s is only being in the forest or being with nature that makes me feel alive. I spend every moment I can learning and exploring. I encourage families to get out and learn about our trees, nature and natural resources. Our children are missing out because it is easier sometime to give them an electronic device to play with. Instead of getting outside and learning about our world, how beautiful and amazing it is. Nature wants us to take our place and be at one with it. If we can do this it will make us and our children better people and the world a better place. I am already doing some actions in my country México, in order to healing people and to increase the level of counsciousness to love and respect our mother nature. Could we make something together? We can promote the movement in México, what do you think? Me and my wife aré therapeuts and master coaches in human development. Please let me know what you thought and excuse my english. Thanks Antonio. Will be in touch very soon. I am also in Mexico! Do you currently have any activities taking place here?? my wife and I am living in austria with our 3 boys. She is originally from Mexico and I thought wow sounds cool what you are doing! Maybe you could give us some ideas on how to make it to be a coach and threapeut like you? We are very connected to nature as well and pursuing to help mother earth and give healing to others. Hi Antonio!! Im a instusiastic of this idea two!! Im from brazil, biologistc, and now im planning to work with forest conservation and healing forestry. We could do something together two! What do you since? my contact is melinaaugusto.bio@gmail.com. Do you have any ideas on what I could do to get that peaceful feeling again? Thank you for reaching out. While there are no direct answers, here are a few pointers. This month we are creating a guest post on flower therapy which talks of the healing abilities of flowers. Also check out the Japanese art of Bonsai. It’s about creating a mini forest in your own home. In the end, the healing process is more about carrying nature in your heart and not just being in nature. Wishing you great peace and calm. I would love to learn more about this flower therapy. I will be teaching a class on flower illustration this summer. It might be helpful to know about flower therapy and how flowers in particular can help us feel calm. Please keep me posted! Do you have a window in your room? Maybe someone could put a bird feeder outside your window so you could watch them eat. On YouTube, I have posted brief videos of my Healing Forest walks throughout Colorado. While you are bedridden you can view them for uplift. Just search my name in YouTube: ‘ria fenty’. When great stress has erupted in my life, I have instinctively turned to the woods and nature for solace and healing. Waiting for results of medical tests, mind awash with anxiety, it was February a couple of years ago. All the woods here covered in snow, the cold and winds too harsh to spend time outdoors, I found myself fleeing to the warmth and greenery of a local Conservatory. There, in the “tropical” room, surrounded by enormous palms and with the music of a small waterfall, my heart and mind were still and calm. I went every day for that tense week, staying for hours in the arms of Mother Nature. The tests came back OK. I love a small park near my home with nature trails. Amazingly underused, I often have it to myself. Solitude, nature, birds, a small wetland/swamp area and a pond as well as trails in the woods. This, to me, is what Heaven is. ‘I believe there comes a time in everyone’s life, sometimes on multiple occasions, when they experience the overwhelming urge to call out to God. I was always fascinated with hiking and the woods. That realization was the turning point in my life when I lost someone very close to me. I began facing my shadow, the dark parts of me and my shame. The older I get, the more cynical I become with myself. There’s a lot in life you just can’t change. It’s okay because it’s temporary. I was struggling with moving past a traumatic incident with my aunt that passed away and I found it difficult to overcome anxiety and depression, I’ve learned to accept myself for who I am. Whatever your anxiety or trauma is about, change your way of thought….get away from negative thoughts and start chasing adventures. Thank you for sharing your video. I look forward to your blog. I like to visit the Shaw Woods Outdoor Education Centre which is a non-profit centre in Ontario, Canada. It is a healing place with Old Growth Forest on Algonquin Territory. Tenemos la idea de subtitular el film en español en los próximos meses. Te avisaré. I was fortunate enough to take my children to the rainforest regularly from a very young age. It is still their favorite place. Reminds me of the book Last Child in the Woods, about disorders arising in children deprived of a connection with nature. Soy de Pucón, Chile. Nos hace falta tener el video “How forests heal people” subtitulado en español. Podemos cooperar con la traducción, pues tenemos una excelente traductora entre nosotros. Hay posibilidades?, como podemos proceder? That’s a really good idea. I would love to watch this film with a Portuguese subtitle as well. I am a Brazilian Ecologist currently living in Cambridge, UK and I voluntary myself to translate the video to Portuguese. Looking forward to hearing from you! I have always looked up towards nature whenever my inner world is messed up, when I am sad, when I am angry, when I am lonely, basically when I want to rid myself of all these negative emotions. Nature inspires me, motivates me whenever I get stuck. No 1 person has ever helped/supported me emotionally so much as nature did. And I am forever grateful to realise the fact that as long as we are there nature is there because we are nature, we are all interconnected. A forest long ago, still lives in my memories, would love to go back. Along the coastline a little north of Mendocino, Caspar’s Wilderness or some such. Anyway, there were other places too, redwood forests, miss it so….. When I was a very young girl I would find myself escaping to the nearest forest. At 4 I remember running away to the trees in a park; at 10 to the empty lot at the end of the street; at 14 I rode my bicycle to the end of the subdivision; and at 18 to the Colorado Rockies, then to a Yosemite, John Muir National Park, then the Oregon Cascades. then to the Sawtooth Mountains. All of my life I have been saved by trees, birds, running creeks, adventures on unknown trails, journeys down wild rivers, meditations at my favorite waterfall. There would be no life for me if there wasn’t a forest, river, sea or big tree to feel loved and healed. I saw this on fb. I live surrounded by forest and our community’s hiking trails are directly out my back door here in Nova Scotia. I heartily concur with what this video has spoken. Kudos for such an excellently produced and photographed video! This is me, and a sample of what I do. I am a composer and recording artist, and I have taken my music back to the forests… If you have need for suitable music for your projects, I would be more than willing to donate mine. This is so beautiful it touches my soul, I love the forest ,I feel like im part of it when im alone and just absorb whats around me. The serenity is so overwellming in my heart. My soul is part of nature , When I need to get away from every day living , to the forest I go. It is my healer. I would be empty without it. It is my lifeline !! I would like to share this on mywebsite inmynature.life. Thank you! Your music is so beautiful and soothing and healing. . Is it possible that I may share it to my Facebook page for others to appreciate? This whole website resonates so closely with what I felt in my heart a few months ago, when I traveled to Austria and stayed on a farm between the mountains and forests for a week. Just looking at the trees and smelling the fresh air energised me. Walking through the woods was a beautiful experience, and I felt like God himself was whispering in my ear “Welcome home” (even though I grew up in Namibia, Africa). Just one week of this gave me strength to change my life around completely – I’ve divorced an abusive husband, quit my job, am saving money and going to travel back to the forests next year! I know this is only the beginning of my healing (and I didn’t even know I needed healing until the trees smiled down on me and hugged me so tightly I felt my cracks heal). I truly believe there is something special about forests and trees, and I firmly believe in the power of nature to connect us to our inner being and heal anything that life throws at us. Thank you for this beautiful website and for sharing these beautiful stories. I saw your post about your story to Austria, and was wondering if I could share it on my blog because i find it will touch people and possibly help them. It’s very relatable as well as along the lines of how I want to help people. It would be posted on my website : backtonaturejourneys.com.au Please let me know if this is ok with you. I take photos of nature but designating a forest for healing is a good idea. I have been thinking of how I could slice a part of virgin forest and protect it from encroaching cities. Thanks for sharing this valuable information. So important to stay in touch with nature…. I spent the first 9 years of my life living at the edge of a beautiful forest in Ireland. It was my playground. I knew every plant, stream, bird and creature living there. I have lived and traveled in many beautiful places and yet, each time I inhale a forest floor or drink from a clear pool my childhood forest come alive inside. Whenever fear, sadness or stress appear I place my spirit in nature and I am that forest child, once more. Thank you for this exquisite film. Now I am a grandmother sharing nature with little ones. I live in Maine, USA, a land of many forests . Thank you! Hi! 🙂 We are a nonprofit podcast dedicated to nature protection and evolution of being. Can we use your videos of youtube about forest healing? We will translate to spanish, subtitles, and put in our youtube channel… With links to your website. We want to reconnect people with Mother Earth. Tanks in advance! Hugs from Barcelona, Spain. Your website link cannot be found…could you have made a typo? Are you still there? Fantastic video. Totally in alignment with the Back to Nature Journeys I do in Byron Bay, Australia! 🙂 Where are you based? Definitely interested, and supportive of your initiatives. I would love to volunteer if you are need. Very peaceful beginning to a long journey! 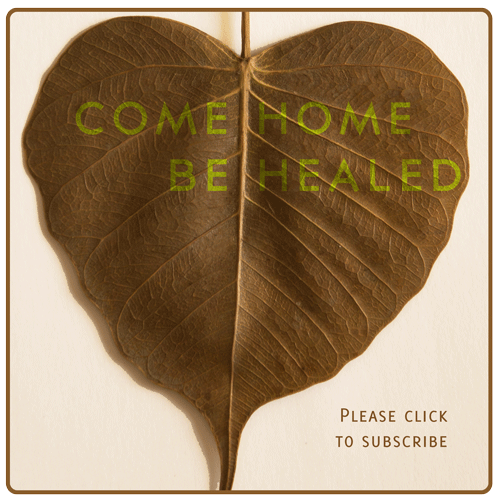 Dear Healing Forest people, I find your beautiful video very moving and very much support your work. Thank you for what you are doing. Please check out our Reforestation Project in Portugal we have created to bring people to back to Nature and to themselves! Beautifully fascinating journey into the enchanting forests…or us?